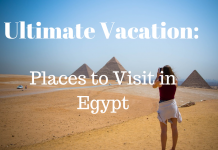 Egypt is one of the countries around the world that is full of so many tourist attractions. Whenever someone thinks of heading to Egypt for a quick visit, they usually pass by the great capital, Cairo. However, people tend to believe that Egypt’s history lie in the cities located at its borders. While that is partially true, Cairo too consists of more than a few landmarks that are quite mesmerizing. Aside from the Great Pyramids of Giza, there is Cairo Tower. It is a place that you do not want to miss while in Egypt. We’ll get you introduced to the whole story behind this magnificent tower. Before going back to the foundation of this tower, we’ll take you through a short summary that may help you to know more about it. The Cairo Tower is known in Arabic as Borg Al-Qahira; the literal meaning of the English name. The local people in Cairo usually call it “Nasser’s Pineapple.” Cairo tower has been the tallest building in North Africa for over half a century; it is 187 meter in height. Before that, it remained the tallest tower in Africa until the Hillbrow Tower came into being. Again, it is Cairo’s second most famous landmark right after the Great Pyramids of Giza. The location of this tower lies in a district called the Gezira. 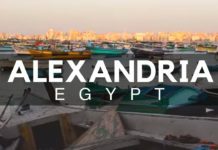 Gezira is an Arabic word that means Island in English; the tower sits on an island that lies in the Nile River. So, that was where the name of the district came from. What makes this place that popular too is the location. 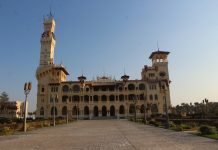 It is quite close to Downtown Cairo, the Nile River, and other popular districts in Cairo. These districts include the Islamic district of Cairo. It is where people go to visit Khan Al Khalili Bazaar and take a tour around the magnificent street, El Moez. Yes, before Cairo Tower came into life, the Hillbrow Tower was on top of the list of the tallest structures in Africa. The tower is located in a district called Hillbrow that les in Johannesburg, South Africa. It was the tallest structure, for the height of the tower reaches up to 269 meters, which is around 883 ft. Hillbrow Tower managed to be the tallest in Africa for around 45 years. It was also among the tallest structures around the world; however, when the Mount Isa Chimney in Queensland, Australia was built in 1978, it was not on top of the list anymore. The tower of Hillbrow took three years in order to be ready forthe world to see. The construction started in 1968 and lasted until 1971. Before its popularity of the name Hillbrow, the tower was known as JG the Strijdom Tower. It was the name of the South African Prime Minister. Again, the name of the tower changed to the Telkom Jo’burg Tower in 2005, but, it became popular as the Hillbrow tower for its location. Although the Cairo tower is a tourist attraction and one of Cairo’s most significant landmarks, the reason behind its existence was actually purely political. The one who came up with the idea of constructing such a structure was the former Egyptian President, Gamal Abdel Nasser. Back in time, the United States had provided Egypt with six million dollars. It was a personal gift, in attempt to have their support against the Arab World. Refusing to accept the bribe, Abdel Nasser decided to overtly scold the American government. As a result, he transferred the money entirely to the Egyptian government and made use of it in building the magnificent tower. Above and beyond, the location in which the tower lies was among Abdel Nasser’s plan as well. Cairo tower actually rises where the Nile River is nearby; besides, the Embassy of the United States is visible just across the Nile. He succeeded in creating a symbol that signifies the unity of the Arab world and their resistance against the U.S.
Gamal Abdel Nasser was one of Egypt’s most popular presidents. 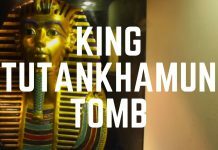 He was the second President to rule Egypt after the Royal Period vanished for good. His political career started out in 1952 when he revolted against the kingdom. Abdel Nasser was the very first to present the idea of extensively improving the land. 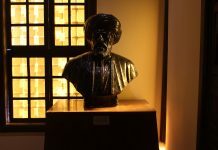 He introduced only one year after the revolution he led. Two years after the revolution, he managed to take down the Muslim Brotherhood organization. Unfortunately, one of its members attempted to murder him, but, luckily, failed. After that incident, he was the reason that Muhammad Naguib, the first president of Egypt, was under house arrest. Shortly, he became the official president of Egypt in 1956. The tower became effortlessly very attractive to the foreigners and locals alike for more than a few reasons. The construction took almost seven years and the designer was a brilliant Egyptian architect, Naoum Shebib. The tower takes the shape of a pharaonic lotus plant, for its frame is intentionally partially open outwards. The intention of creating this lotus is to make the structure an iconic symbol of Ancient Egypt. 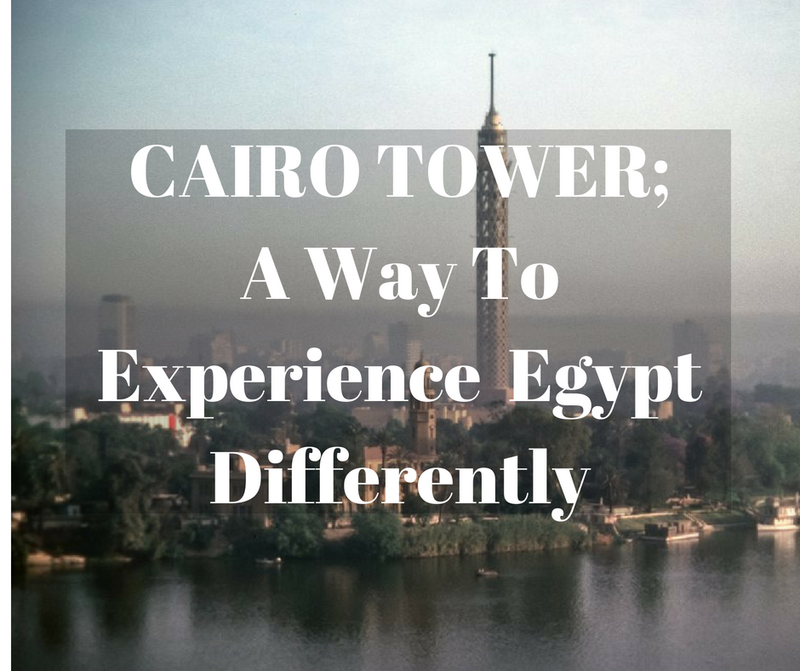 Another facility that seems to attract tourists is the rotating restaurants that lies at a high point of the tower; a point where the great Cairo is the amazingly breath-taking view. The rotation can take up to one hour or more. That gives you the opportunity to view Egypt from a higher point and at a greater angle. Since Cairo tower is one of tallest structures around the world, it grants Egypt an amazing feature. The reason behind its being a tourist attraction is the fact that you can see Cairo from its highest point. Definitely, view is quite breath-taking, for the tower consists of 16 floors, but actually, the tower seems higher. The latter is due to the fact that the tower lies on a granite base. The Pharaohs used the same material to build their temples and other structures. Get yourself ready to reach the sky of Egypt just by visiting one of its most prominent landmarks, Cairo Tower. You’ll have fun watching the city from up there and indulge into the delicious plates of the restaurant.